Located within a 20-minute drive of resorts such as Val d'Isère, Tignes and Les Arcs, Chalet Pelerin in Le Miroir offers unparalleled access to some of the finest slopes in the Alps. The small village is off the tourist trail and here you can indulge your inner adventurer with challenging off-piste skiing. Runs that stretch to 12,000 metres finish in spitting distance of the property and they're so quiet, you may well enjoy exclusive use. With its elevated position on the French-Italian border, you'll be perfectly situated to delight in the culture and cuisine of both countries. Chalet Pelerin is a traditional Alpine retreat featuring regional heritage design, with broad wooden beams, luxurious sheepskin throws and artisan furniture. The accommodation hosts up to 14 guests in five generous bedrooms. Gather your group in the large, open-plan living space for pre-dinner aperitifs, and let your personal chef convert delicious seasonal produce into a hearty evening meal served in the ambient dining area. Alternatively, you can ski to surrounding restaurants for a candlelit feast. The villa's indoor saltwater pool is a peaceful spot to unwind after a day on the slopes, while the Finnish sauna and steam room will help you to work up a sweat before cooling off with a chilled glass of Sancerre from the property's own wine cellar. If you live to ski, you'll be spoilt for choice with the powdery, world-class terrain at your fingertips during the winter season. However, this is a year-round idyll and the summer months transform this picture-postcard locale into a hillside oasis that creates a glorious playground for outdoor pursuits. Hire bikes to explore the verdant trails bordered by wild mountain flowers, or take a wine-tasting tour and discover the fabulous producers working in this rich, abundant micro-climate. Our guides will ensure your holiday is tailored to your bespoke requirements and are always on-hand to arrange outings such as helicopter skiing, hiking and culinary excursions. At Chalet Pelerin, we custom design unique alpine adventures for you, your family and your friends. Whether snowshoeing with your kids to our remote alpage for a candlelight fondue dinner, or heli-skiing 8,000 metre runs from the neighboring Italian Alps to the front door of the Chalet, our experience is not your ordinary ski holiday. The Chalet sits at the top of a historic farming village high up in the Tarentaise Valley on the French/Italian border. We have easy access to incredible ski terrain - Val d’Isere, Tignes, Les Arces and La Rosiere are all within 20 minutes, but our favorite is the neighboring Sainte Foy where we enjoy vastbackcountry powder and crowd-free groomed pistes. Back at the Chalet, you will enjoy our cinema room, saltwater pool, sauna, steam and spa as well as our award-winningchef and extensive wine cellar. A 5-day trip to Chalet Pelerin to ski some of the Alps’ most revered resorts and explore the limitless off-piste terrain. Guests will ski 5 world class resorts, some of which are well known, others are well-kept secrets. 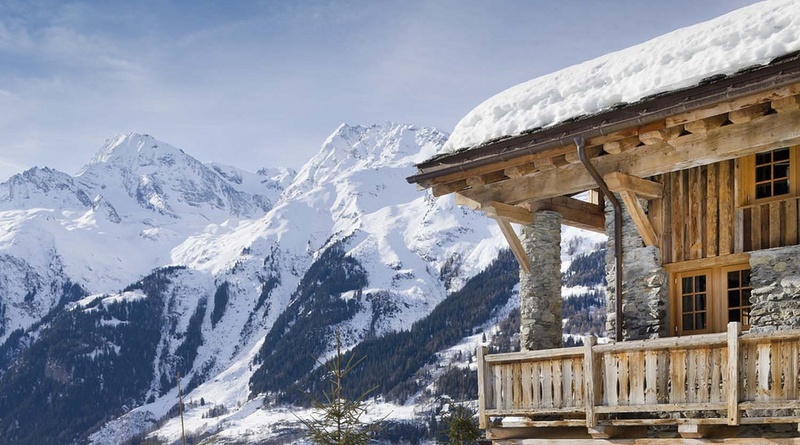 Eleven guides will seamlessly create an unforgettable winter itinerary so guests can be assured that they are skiing the freshest snow, sampling the finest food, seeing the most beautiful vistas and enjoying the ultimate hospitality and comfort of Eleven’s Chalet Pelerin.